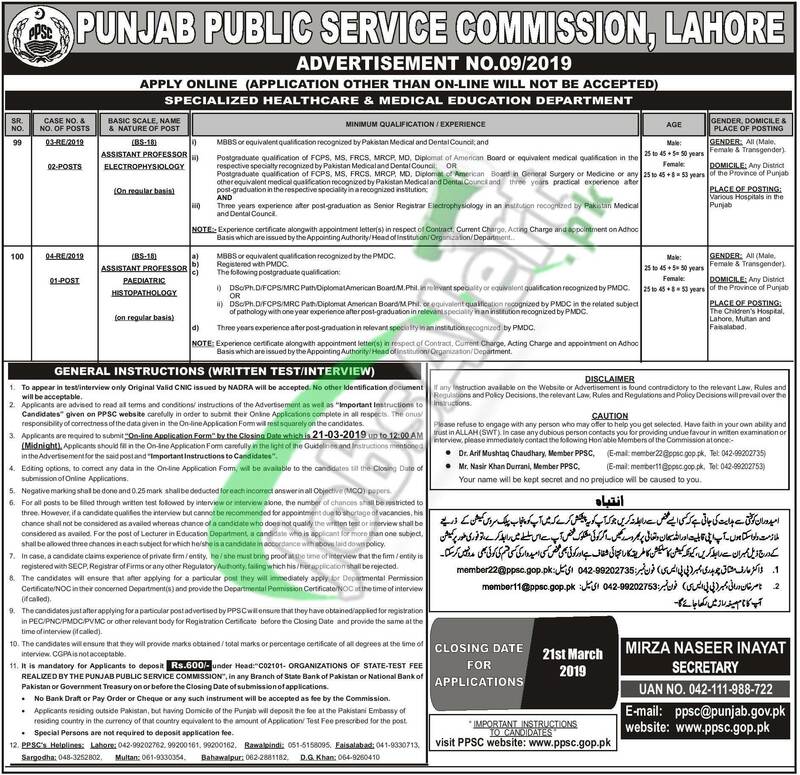 Here in the following you'll get PPSC Jobs Advertisement No 09/2019 March Latest Vacancies announced for the Punjab Domiciled candidates who are welcome to apply for the following jobs which are under Punjab Government Department. PPSC Jobs to apply are such as (Assistant Professor Electrophysiology, Assistant Professor Paediatric Histopathology) and these positions are going to recruit for Specialized Healthcare & Medical Education Department. Candidates possessing MBBS and relevant post graduate degree as per the eligibility criteria are suggested to apply online before the last date 21st March 2019.